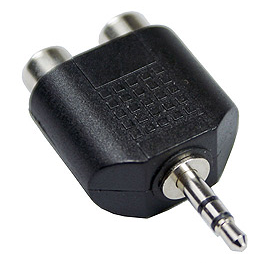 I need a nice high quality 1/8th headphone jack to stereo RCA cable. Something that can complete w/ $500-$1000 Interconnect cables. I think I'd just get a plug adapter. Adam, the new member ZZAcoustics has a product. maybe he will send you one for review. Although for my own purposes, it would likely be the adapter, if I were going to throw something out there that is a high-quality cable, I'd be curious about this one.